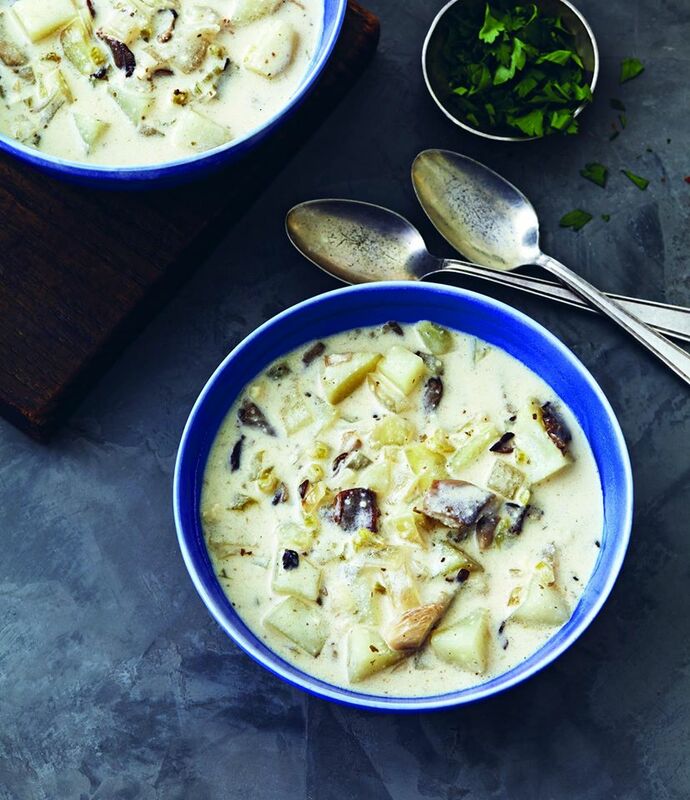 Oyster mushrooms star in this vegan interpretation of New England clam chowder made with diced potatoes, onion, and celery with a creamy, cashew-based broth. If oyster mushrooms are unavailable, substitute white button mushrooms, chanterelles, or a combination of both. 1. Heat 1 tablespoon of the butter in a large pot over medium heat. Add the mushrooms and cook for 5 minutes. Remove from the pot with a slotted spoon. Add the remaining 1 tablespoon butter to the same pot over medium heat. Add the onion, celery, and garlic and cook, stirring occasionally, for 5 minutes, or until softened. Stir in the potatoes, bay leaves, dulse, thyme, Old Bay, salt, pepper, and vegetable broth. Bring to a boil and then decrease the heat to low and cook for 30 minutes, or until the potatoes are just tender. Remove the bay leaves and stir in the liquid smoke. 2. While the soup is simmering, blend the cashews and 1 cup of the almond milk in a high-speed blender until smooth. When the vegetables are tender, stir in the cashew mixture and the remaining 1 cup almond milk. Stir in the reserved mushrooms and heat the soup for a minute or two until hot. Taste and adjust the seasonings, if needed. Serve hot, garnished with the parsley. 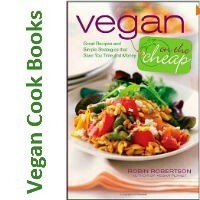 Let us know what you think of this easy vegan recipe: Clam-Free Chowder!